Konami is celebrating 50 years of awesome games with Anniversary Collections of Contra, Castlevania, and more. Konami is celebrating its 50 anniversary by bringing additional games to the masses. 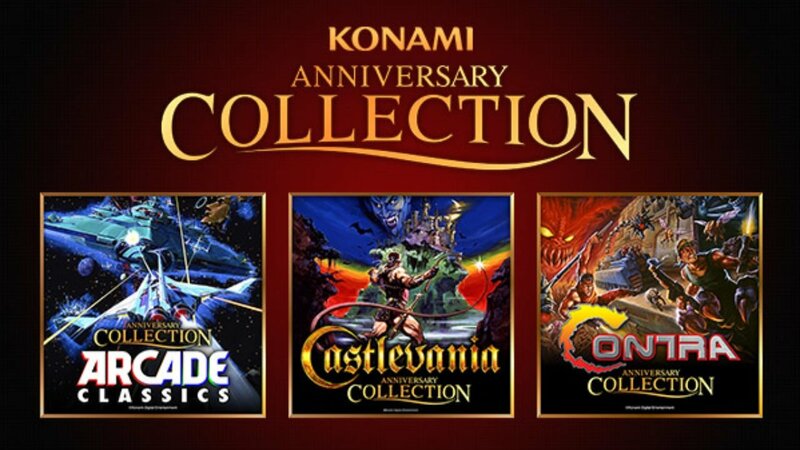 The company announced three Anniversary Collections on their way out to fans, with lots of Konami goodness to go around – including the Arcade Classics Anniversary Collection, Castlevania Anniversary Collection, and Contra Anniversary Collection, all digital exclusive bundles available to download soon on PlayStation 4, Xbox One, Nintendo Switch, and PC. As far as the Castlevania collection goes, it will come packing Castlevania, Castlevania III: Dracula’s Curse, Super Castlevania IV, Castlevania II: Belmont’s Revenge, with additional games being added at a later date. It will also come with a special in-game Bonus Book including early developer's note sand an interview with Adi Shankar, who helmed the animated series along with a talented team. Finally, the Contra franchise is celebrating 30 years out on the market, and Konami is adding a bundle of Contra games, too. the Contra Anniversary Collection will bring the arcade version of Contra, Super Contra, Super C, Contra III: The Alien Wars, and additional games to be announced later down the line. As with Castlevania, there's a special in-game Bonus Book as well to pore over. Both the Castlevania and Contra collections are coming out in early summer 2019, with additional information coming at a later date. There will also be more titles announced soon, so we'll keep you up to date as soon as they are. Sweet. Looking forward to Castlevania collection for sure.